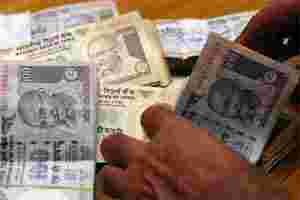 New Delhi: The government has made small savings more attractive in an effort to woo small investors and enlarge the national savings pool, a notification from the finance ministry on Friday showed. The Monthly Income Scheme (MIS) and the PPF will earn an interest of 8.2% and 8.6%, respectively, a government release said. The maximum increase is in the one-year fixed deposits— from 6.25% to 7.7%. The interest rate on other time maturities has been hiked as well. The new rates will be applicable from the date of notification which will be announced soon. The decision to increase interest rates, which is in line with the recommendations of the Shyamala Gopinath committee, will make small savings schemes more attractive and returns would be in sync with market rates. The government, however, decided to discontinue the Kisan Vikas Patras (KVPs) and lowered the maturity period for MIS and NSCs to five years from existing six years. It also introduced the National Savings Scheme (NSC) with 10-year maturity. The government also scraped 5% bonus on MIS and has also done away with commission for agents on PPF and Senior Citizens Savings Schemes.